The 13 local vertical datums were established by determining mean sea level at a tide-gauge and then transferring this level to benchmarks in a network. The majority of observations in these long and often poorly constrained networks, were made using precise levelling. To account for changes in the Earth's gravity field an approximate orthometric correction was applied to the levelling observations to give normal-orthometric heights in relation to the tide-gauge MSL. Sea level is known to vary around the coast of New Zealand. This means that the level of MSL determined each datum's tide-gauge will be different and that heights measured between adjacent datums will not agree. It is therefore important that the vertical datum of a height is checked before it is used. In most cases the level of MSL for the vertical datums was determined prior to 1960 and has not been updated since then, even though MSL has changed by unknown but measureable amount. Read abouttidal level information for surveyors about relating the local datums to mean high water springs (MHWS). 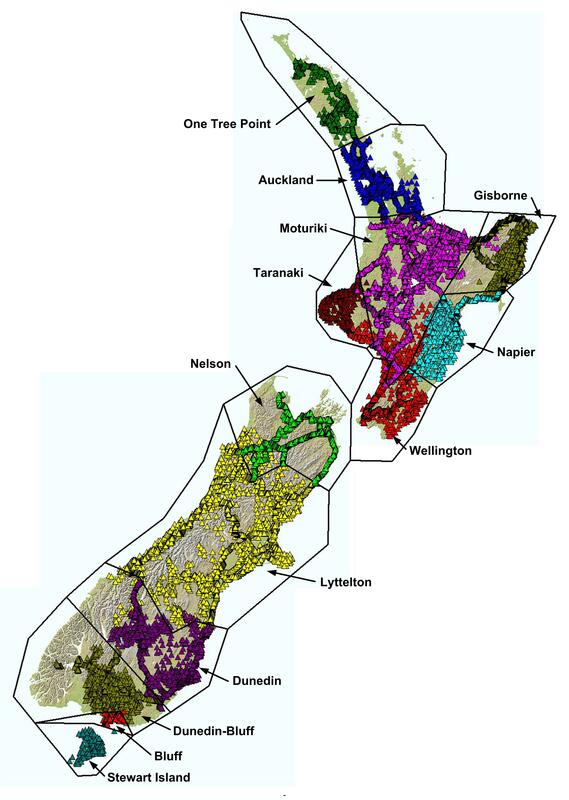 Heights in terms of the local datums can be related to the NZVD2016 or NZGD2000 by using the NZGeoid2016 geoid model and the appropriate Vertical Datum Relationship Grid. The conversion of heights between the different datums is described on the height conversion pages. NZVD2016 heights are also published on the Geodetic Database for all geodetic marks included in the National Geodetic Adjustment. The table below compares the height of the reference mark for each local vertical datum with the NZVD2016 height as computed using the relationship grid, and as published from the National Geodetic Adjustment.